Most people think of networking as something you do outside your company; however, this is a narrow view of an activity that is important for your career. Who you know and who knows you can play a major part in your ability to be recognized and get ahead. Internal networking is an informal process. 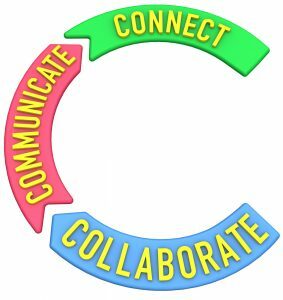 You forge connections with your peers and colleagues in other areas, get to know them as individuals, and share resources and information. Here are three tips to help you build a strong, internal network. Arrive at all meetings early and meet anyone you don’t already know. Find out what they do, exchange business cards with them, and follow up in a week. Set a goal to reconnect with people you already know in the company at least quarterly (monthly is best!). Don’t rely on e-mail. It’s too cold a communication medium. Pick up the phone and call them just to catch up and reinforce the relationship. Add a variety of people to your network. In addition to those you work with frequently, reach out to people in departments with which you interact occasionally. This gives you access to additional resources and opportunities. Numbers aren’t as important as the quality of your connections. Cultivate your networking relationships, be willing to make introductions within your network, and freely share information and resources. Building a network up, down, and across your organization is invaluable. It gives you a gold mine of knowledge and expertise to draw on when you need it. Hate the idea of networking? See my blog post Networking Tips for Shy People. Do you know how long it takes to refocus after an interruption? That’s right. Every time you are interrupted, you lose 20 minutes. 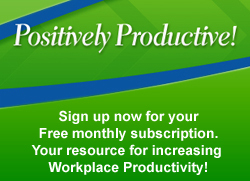 Here are some tips to help you stay focused and positively productive. Stop the interruptions. Let’s face it—most of the time, you let yourself be interrupted. We think other people are doing it, but that’s not true. Be assertive, say no graciously and politely, and tell people that you’ll get back to them. Eliminate distractions. Turn off your e-mail notification, silence your phone, and put up a do-not-disturb sign when you need to focus. Give yourself a break. Attention and focus wane after about 60 to 90 minutes. If you forge ahead without a break, you will be less productive than if you take a break and come back to the task. 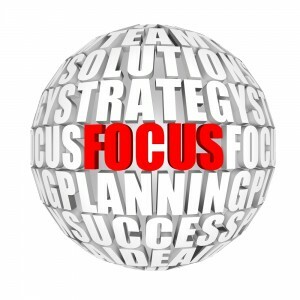 The ability to focus is a key factor in how positively productive you are. Use these simple tips to keep your attention on the task at hand and discover how much more you will get done. The ability to persuade others to agree with your point of view is a key skill every professional needs to develop. 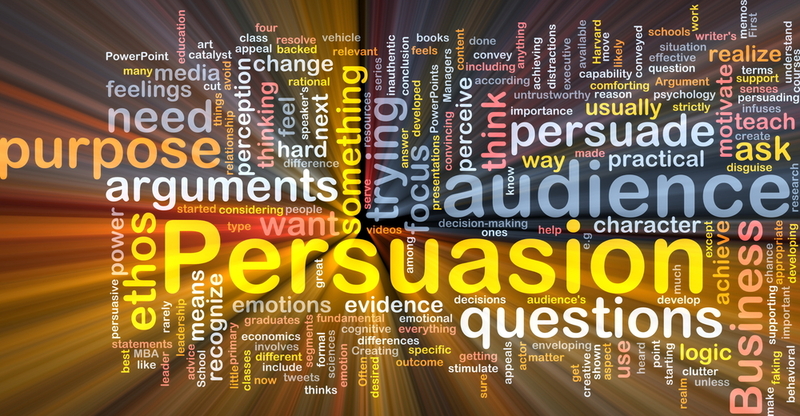 Here are five tips to help you be more persuasive. Be trustworthy. Trust is built on congruence and credibility and is the foundation for persuasion. Congruence means that what you say and what you do are consistent; you walk your talk. Credibility means that you are ethical and believable. When you demonstrate both, people trust you, and when they trust you, you can begin to persuade them. Understand and respect their point of view. Persuasion is impossible to achieve if you believe and act as if the other person is wrong. Instead, talk to them, discover where they are coming from, and show genuine interest. When you respectfully listen to them first, they are more likely to listen to you in return. Then you can be persuasive. Explain how they can get what they want by agreeing with you. Focus on what they gain and what they avoid by describing how you can satisfy their needs. All persuasion relies on giving them the benefits they desire. Anticipate their objections and be ready to answer them. The need to persuade someone presupposes that they have objections to doing what you ask of them. You must discover their objections and refute them with the benefits they get by seeing things your way. Benefits must outweigh objections for persuasion to succeed! Be willing to compromise. 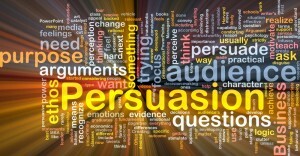 Sometimes persuasion is easier when you show a willingness to give a little about what you are asking for. Persuasion is a skill that can be learned and can serve you in negotiations, sales, customer service, and employee management. 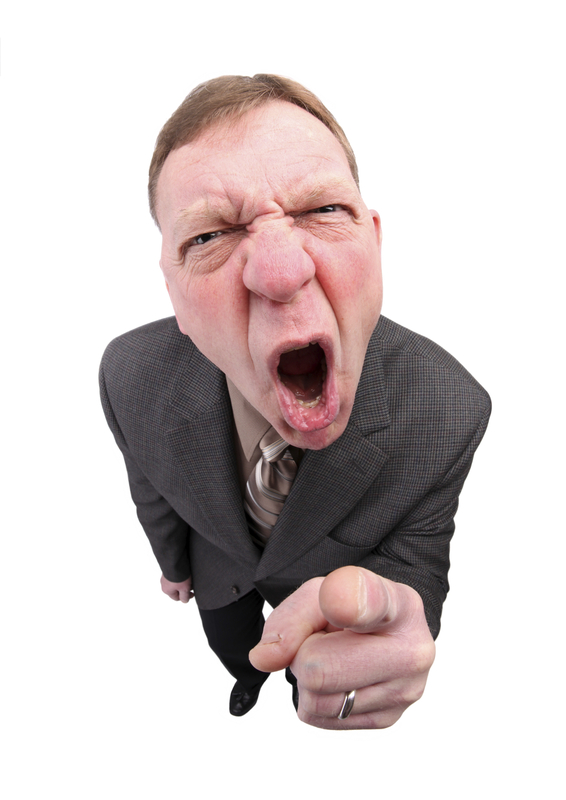 Dealing with an angry customer can ruin your day if you’re not prepared to handle it. Here are some quick tips to keep in mind. Don’t take it personally. Angry customers are not mad at you. They are frustrated, annoyed, and unhappy with something that happened or didn’t happen. Step back, take a breath, smile, and listen! Find out what they want. Before you can satisfy them, you need to know what they want as a solution. Keep in mind, you may not be able to give them what they want, but once you know what that is, you’re in a better position to offer acceptable options. Every unhappy, angry customer is an opportunity to discover problems that need to be addressed. 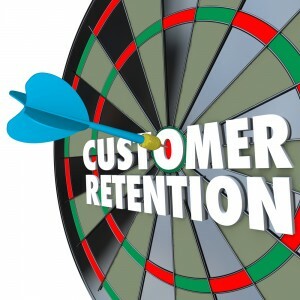 They are a valuable source of information and can help you improve customer contact and service delivery. When you are promoted into a leadership role, it can be a challenge to make the shift from being a manager to leading. Managers focus on the day-to-day running of the organization, manage staff performance, and generally get the work done. Leaders, on the other hand, focus on the vision and mission of the organization, motivate and inspire staff, and steer the organization toward the larger goals. Here are some strategies to help make the shift easier for you and your staff. Understand different leadership styles and when they are appropriate. For example, a controlling or director style is good when safety issues are involved or in times of crisis when firm leadership is required, but it is not a style that inspires or motivates. It also will turn off younger employees. See my blog post How Each Generation Views Leadership. Know what motivates your team. Different things motivate different people. It’s not one size fits all! Some employees value flexibility, some want monetary rewards, others prefer promotions and new opportunities. Motivation also varies by generation. Generally, older employees prefer tangible rewards while younger staff members want rewards that foster work-life balance. For more information on generational differences, see my blog post Bridge the Generation Gap and my e-book Leading 4 Generations. Delegate more. You may be tempted to continue handling day-to-day activities, and many leaders also have a managerial role. 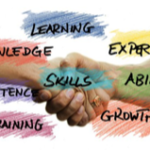 However, learning how to delegate is a key leadership skill that gives you more time for leading and helps you develop the skills and independence of your employees. See my blog post Delegate for Results. 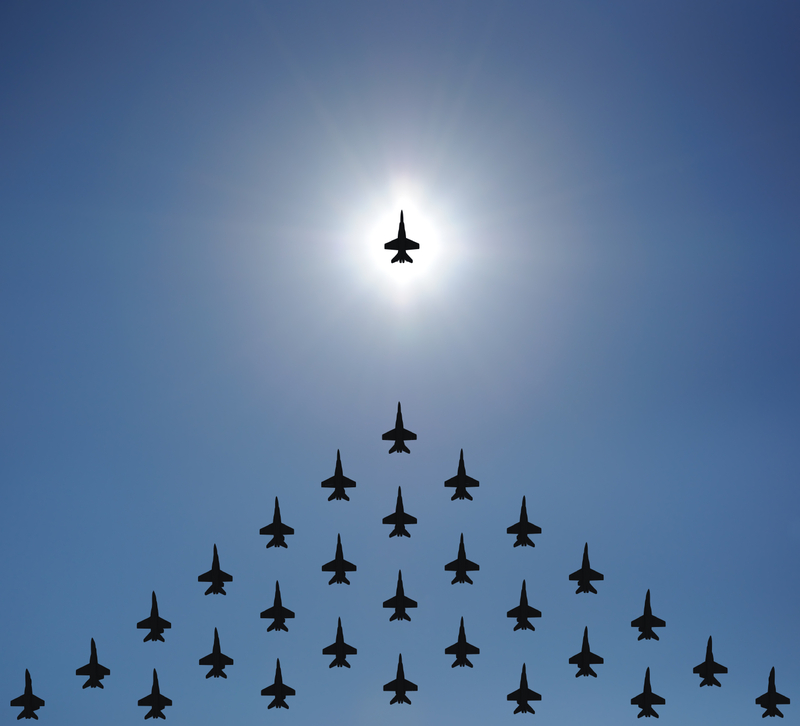 Becoming a leader is an exciting, challenging time. If you make a mistake, be accountable and strive to improve. It may take a while for others to view you in your new role, but with patience and persistence, you will succeed.